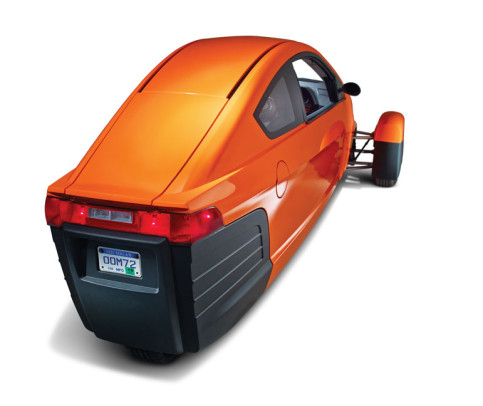 Elio Three-Wheeler: The pioneer in the world of three wheels! The moment you start thinking about a three-wheeled vehicle, the first obvious example that pops up in mind is the ‘Indian auto rickshaw’! You might be wondering about the extraordinary steering skills of their drivers and the way they addle the drivers of the other cars on road...! But perhaps a very few have noticed the potential of a three-wheeler in future generation transport! Sounds like a fantasy, isn’t it? However, this dream is soon to come true through the efforts of Elio Motors. Overwhelmed by the desire to provide an affordable transportation to every family, engineer Mr. Paul Elio founded Elio-motors in 2008. Since then the whole team is working tirelessly to build a cost-effective, reliable and fuel-efficient three-wheeler - the Elio. The vehicle will cater to the everyday needs of a person like going to work and come back. The vehicle is designed to carry two people and some luggage. Elio, the technical marvel, is powered by a small 0.9-liter, fuel-injected & liquid-cooled, in-line, 3-cylinder, petrol engine capable of producing 55Hp. The power developed by the engine is transferred to the front wheels of the vehicle with the help of a 5-speed transmission. Both the Options - the manual shift or automatic is available on the vehicle. This three-wheeler manifests its technological superiority in terms of the incredible fuel economy. It delivers 84 miles per gallon (35.7 Km/lit approx.) on highways. So, even with a small tank of 8 gallons (30 Lit. approx. ), it can manage to cover a distance of 672 miles i.e. 1081 km. Thanks to the aerodynamically sound body design and use of lighter materials such as the composites body panels. The design team of Elio has managed to keep the curb weight of this vehicle to be just equal to 1200 pounds (544.3 kg approx.). As a result, the top speed of the three-wheeler is almost 100 miles per hour (160.9 Km per hour approx.). In spite of being lightweight, safety is the aspect of top priority for the company. So this small-sized vehicle comes with three airbags and ABS. It also has a reinforced roll-cage frame that takes care of the occupants during the events of roll over. The crash zone available on this three-wheeler is 50% more than an ordinary vehicle on road in America. So, this makes it more secure in the events such as the frontal crash. In addition, the vehicle offers an air conditioning system with heater, AM/FM radio and power windows as a standard fitment for the comfort of passengers. However, with all these features, the Elio bears a price-tag of just 6,800 U.S. dollars (approx. equal to 4 Lakh Indian rupees). 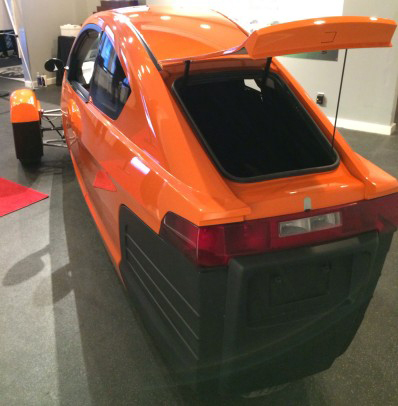 Planned to undergo the production in 2015, the whole world is eager to see the Elio on the roads! Read more about Elio Motors here. Home » Articles » Elio Three-Wheeler: The pioneer in the world of three wheels!